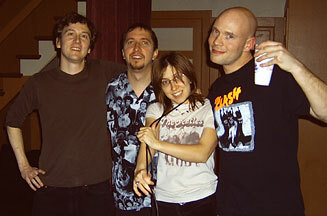 joined me for the 2/16/07 performance! Moved to L.A. and having grown tired of school, Nilsson dropped out and took a job at the Paramount Theater, where he eventually worked his way up to assistant manager. During his Paramount years, Nilsson was able to learn piano chords from the musicians who performed there, and soon became a skilled pianist himself. After the Paramount closed, Nilsson started writing songs and singing demos while working in the computer department of a bank. His hard work over the next several years finally paid off when, in 1967, he landed a recording contract with RCA Victor. Early in his recording career, Harry’s music was discovered by the Beatles, who were then at their peak, and became his biggest fans. It has since become etched in rock and roll history how – at a huge press conference in New York City to announce the launch of Apple Records – John Lennon announced to the world that Nilsson was his favorite “group!” Later during that same New York visit, he also enthusiastically declared “Nilsson for President!” Ringo Starr, who later became best friends with Harry, at one time proclaimed Nilsson had “the greatest voice on planet Earth!” Paul McCartney and George Harrison were fans and good pals as well. As album after album was released, Nilsson was praised by the critics, not only for his own songs but also for his remarkable performances of those written by others. Two of his biggest hits (“Everybody’s Talkin'” and “Without You”) fall into the latter category, and he won Grammys for both of them. Other artists also recognized Nilsson’s songwriting talents, and his songs were (and still are) recorded by many top performers, from Joe Cocker and Neil Diamond to Diana Ross and Barbra Streisand, Ella Fitzgerald and Johnny Mathis to Glen Campbell and Brian Wilson, as well as many others. Three Dog Night’s recording of Nilsson’s “One” became their breakthrough hit and first Gold Record, and Harry’s “Cuddly Toy” was a hit for the Monkees. As both a songwriter and singer, Nilsson was somewhat of an enigma. His songs embraced such a wide variety of themes and musical styles that there is no way to easily categorize them. And though his voice is known worldwide, he never toured and rarely performed in public, having preferred to work almost exclusively in the studio. Nilsson’s genius and creativity were cut short January 15, 1994, when at the age of 52, he died quietly in his sleep at his home in Agoura Hills, California. 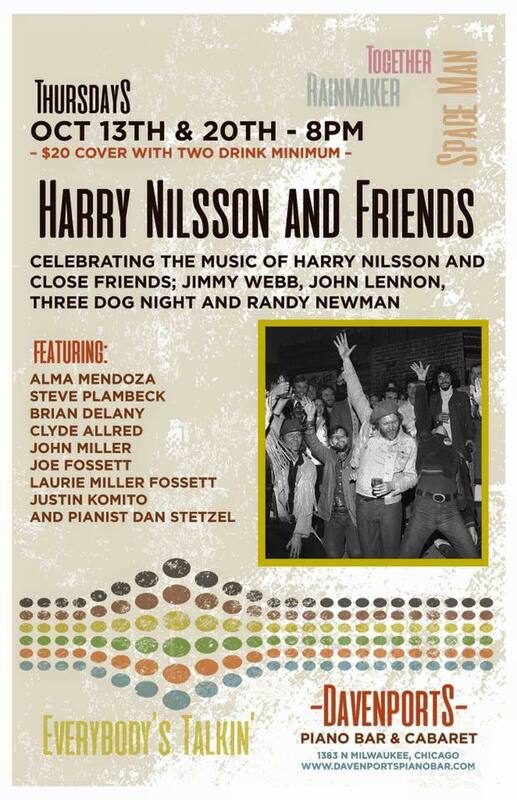 Although Harry Nilsson is gone, he is anything but forgotten, with his phenomenal musical legacy continuing to delight, move and entertain millions of people around the world every day. 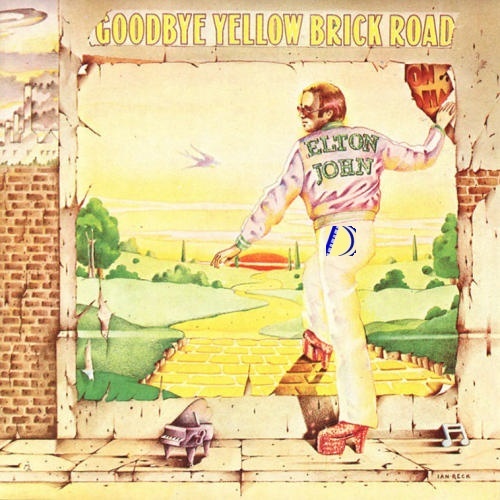 the Goodbye Yellow Brick Road album (mom, what's an album?). 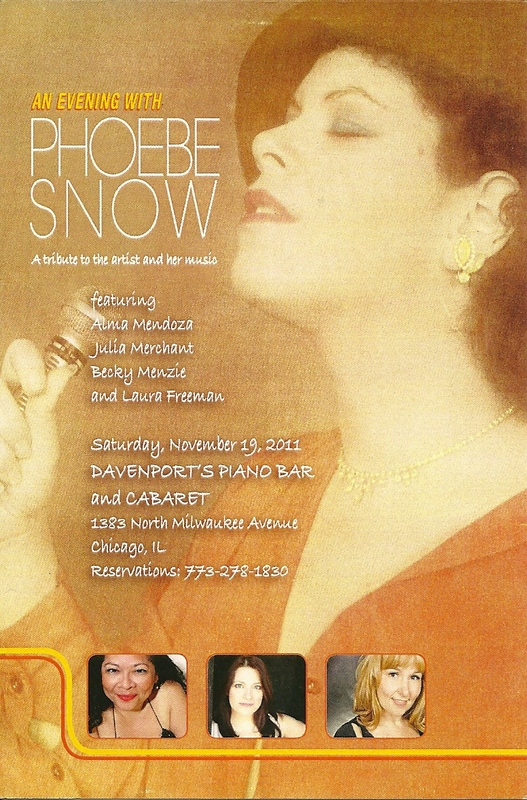 My Phoebe Snow show will be available on dvd while supplies last - e-mail me if interested! You'll be able to find my performance on Youtube soon afterwards! This show ran last March, but we're bringing it back for one more night. 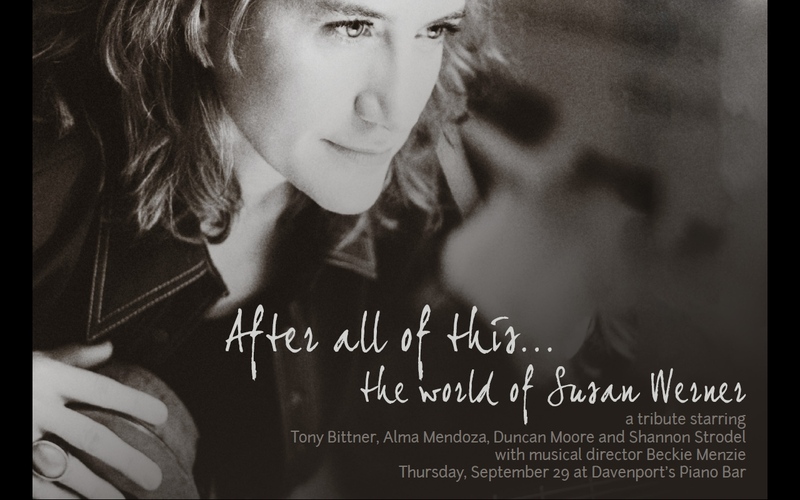 We've tweeked the songs and the arrangements, added new voices, and this time we are delighted to have Susan Werner attending in person! SHOW EXTENDED FOR 2 MORE DATES IN JUNE! AND ONE LAST DATE IN AUGUST!!! If you haven't caught this show, please do!! If you have seen it, please tell your friends to come!! What started as my birthday show last month is having such a good run, I really can't call it "my birthday show" anymore. 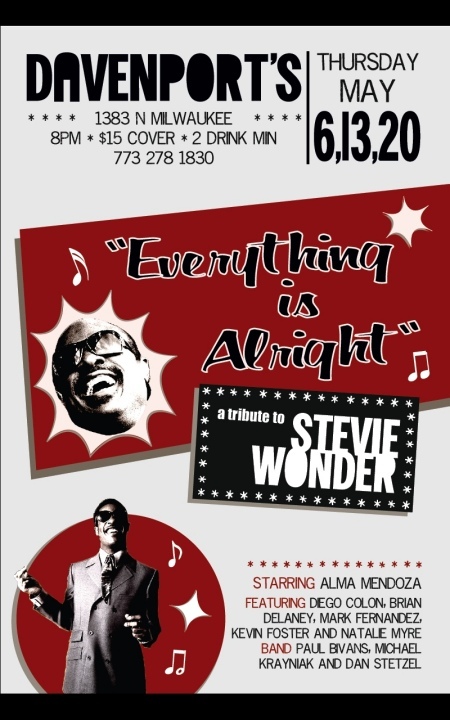 Well there's never a bad time to celebrate and pay tribute to the genius of Mr. Stevie Wonder! So many great songs to pick from, we've had to add a couple more since the show opened. Lots of great songs picked for you, and amazing friends joining in. And let's keep dancing!!! MAY: I'm celebrating my 50th this year by putting on a show. 3 shows in truth! (But see above:) Yeah yeah yeah! 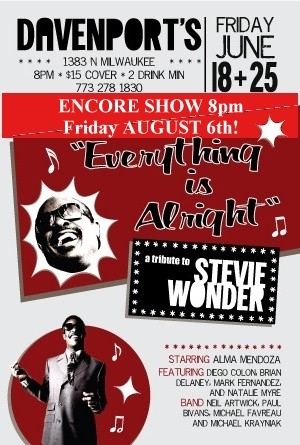 Paying tribute to a true genius Mr. Stevie Wonder! So many great songs to pick from, it was a tough call. Lots of my friends wanted in but it's only an hour show. Still got great songs picked and amazing friends joining in. May 6 is my actual birth date and the next 2 Thursdays will make it a 3 Thursday night run. That way we get to celebrate as much as possible! That's the only way to do it. The only present I need is your presence at this show! Long ago and far away, in the town of boys, there was a bar called Gentry, and we sang there. Hours and hours on Sundays, for years and years, and it was good. Now it's a brand new show but it's still us, Dan and I performing for your pleasure! 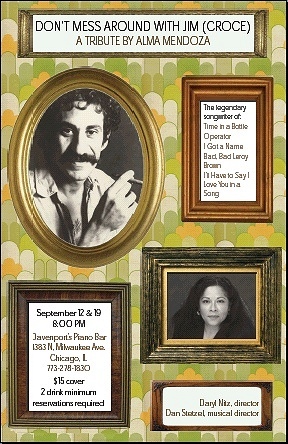 EVERY THURSDAY in SEPTEMBER at Davenport's Piano Bar. Please join us! Of course if you are a singer we'd love to have you sit in too! I can't wait! 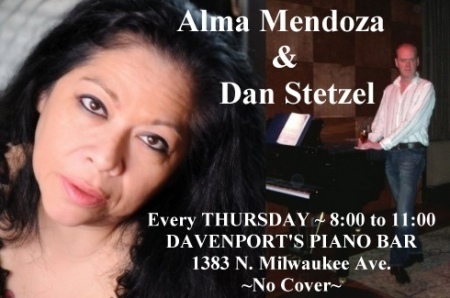 Alma Mendoza and Dan Stetzel at Dav's on Thursdays! Together again! Every Thursday Night in SEPTEMBER! No cover!! Just an adult beverage or two! Our show from last November will be back, this time for a 4-week run, re-titled, expanded, enhanced, and enthralling! 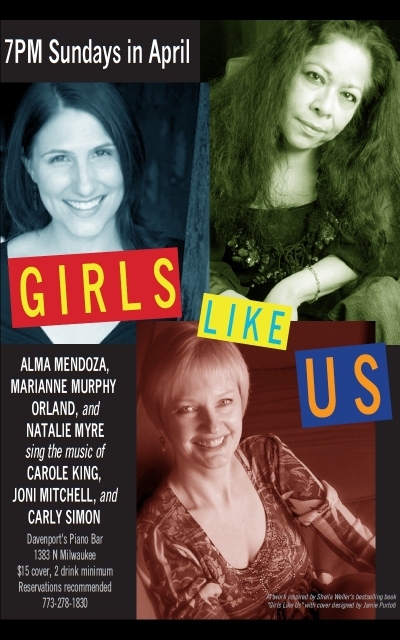 Carole, Carly and Joni; three Natural Women whose Tapestry of confessional, Earth-Moving songs blazed a trail for all female singer/songwriters to come. Nobody Did it Better, so take a Big Yellow Taxi to Davenport's every Sunday in April. $15 cover / 2 drink min. / PLEASE call & make a reservation! 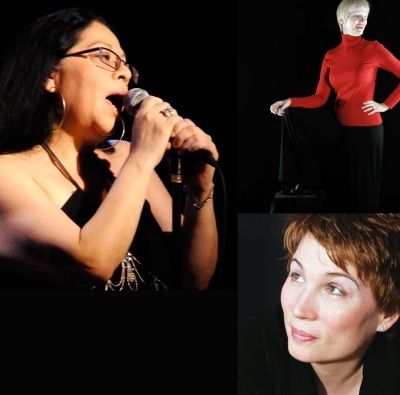 featuring Amy Armstrong, Freddy Allen, Daryl Nitz and their guests Alma Mendoza, Heather Moran, Cheryl Szucsits, MeKole Wells and Melissa Young. A concert of hope, promise, and change in America inspired by the lives of Martin Luther King and President elect Barack Obama. "Chicago Holiday: Celebrating the Season"
as the group performs fun, festive and classic tunes. 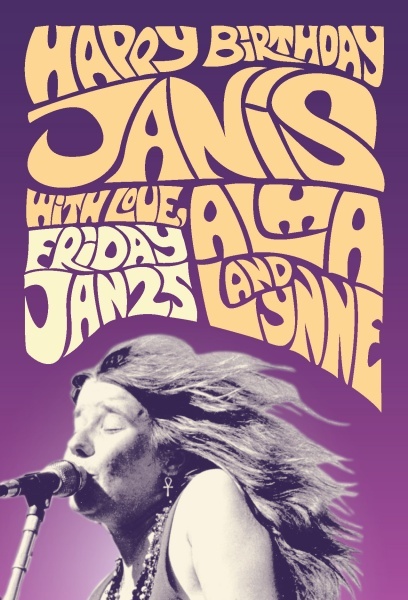 Please join me & my friends Marianne & Amy for..
with Dan Stetzel on piano. 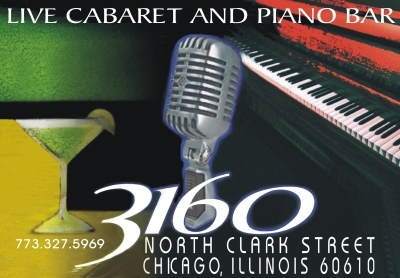 ~~~~~~~~~~~~ Next, it's my own 4-hour show with accompaniest Dan Stetzel at the piano, as we help Gentry of Chicago celebrate their 25th anniversary!!! I hope lots of my old friends from the years we played Gentry on Halsted can join us for this show! ~~~~~~~~~~~~~~~~~~~~~~~~~~~~~~~ The Park West! Oh my! I've been paid the very great honor of being invited to perform a number during the 6:15 to 7:00pm Pre-Show to this year's CCP Gala Benefit! At the Park West! Please remember I'm in the Pre-Show, which starts at 6:15 and will be over by 7:00. But your tickets are good for the complete benefit show that night, and the proceeds go to the wonderful things the CCP does for our community. I hope I see all my friends there! 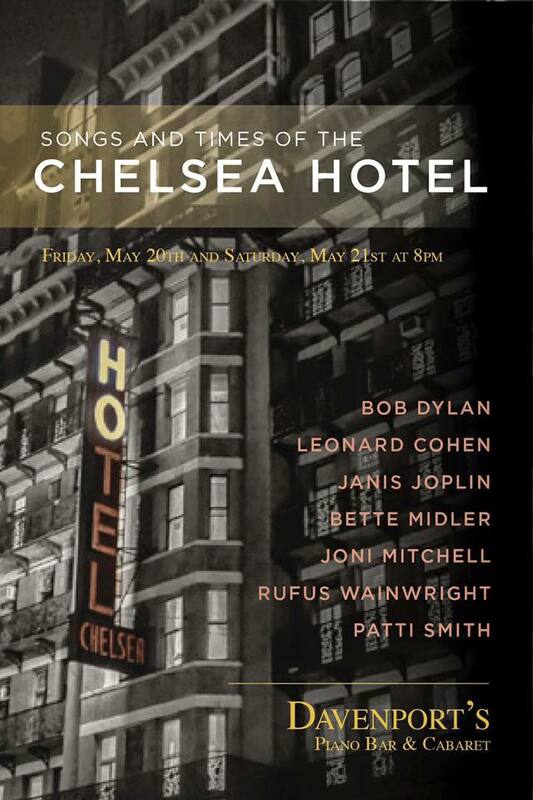 will perform for this fabulous evening of song and music. Doors open at 6 pm. Pre-show entertainment from 6:15 til 7:00pm. Available at www.chicagocabaret.org or call the CCP Hotline 312.409.3106. 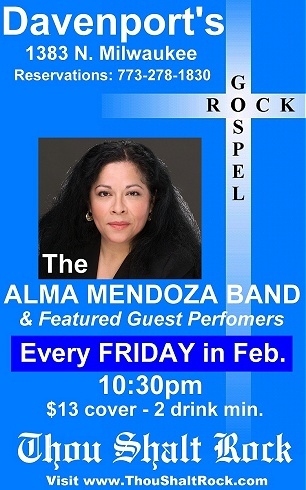 Alma Mendoza ~ Singing in Wheeling! 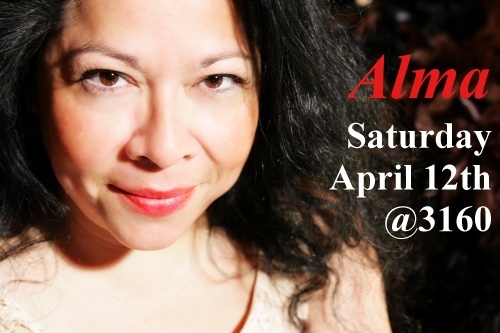 With Brian Felder on piano & Megan Thomas on percussion! Have you missed me in Lakeview? I've certainly missed you! 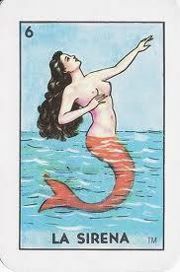 I'm so happy to let you know that I will be at 3160 in August. Thursday the 23rd at 9:30 to be exact. Have you been there? It's a great space. White tablecloths and wonderful staff. You'll love it!! 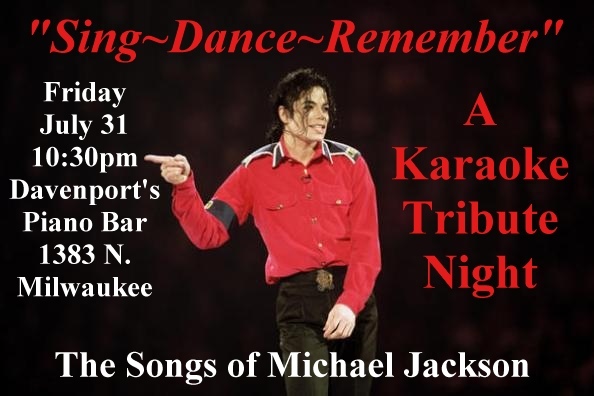 I hope you will help me to pack the place that night. 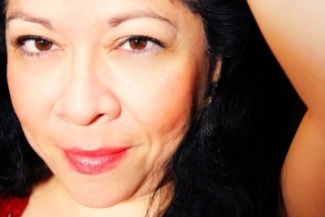 I'm hoping to let everyone know that I am still around and still love to sing! June 2007 John Lennon said, "Life is what happens when you're busy making other plans." And that's kinda exactly what happened to the piano shows with my friend and wonderful accompanist Dan Stetzel. Since we did those shows regularly I've changed my daylight job, Dan has moved his famous open mic night to a new venue, my daughter has graduated from Stanford, I staged a big month-long rock/gospel show, and now I host karaoke Friday nights in the back room at Davenport's! 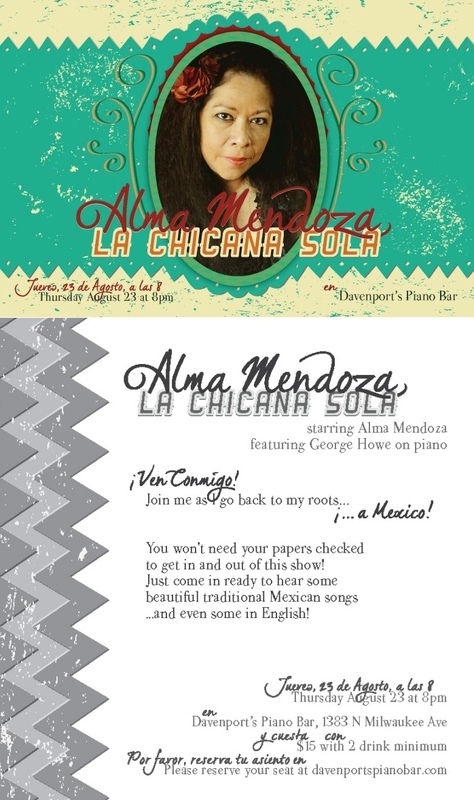 Now for one more good thing - Wednesday night June 20th ( 2007) come see Alma Mendoza & Dan Stetzel perform for 4 hours in the Chaise Lounge at Davenport's Piano Bar! 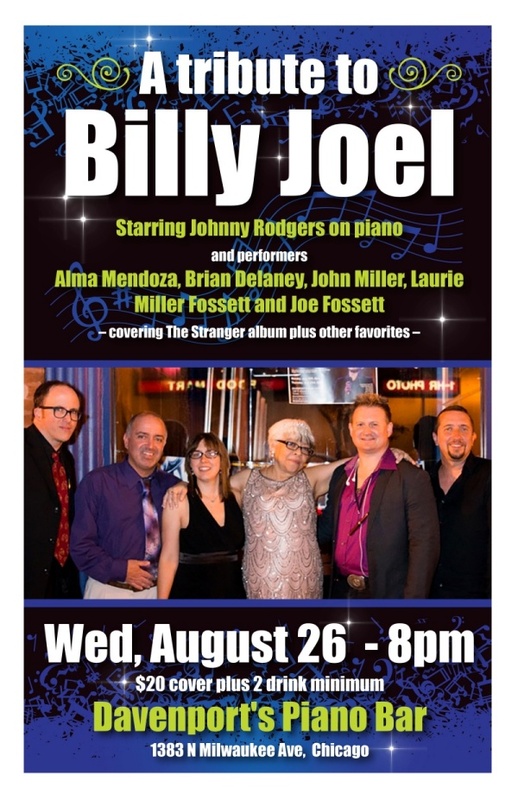 It's our first-ever show in the front room piano bar, and we'd love to see all our friends there! There's no cover charge in the Chaise Lounge, no reservations needed, just 4 solid hours of me and Dan doing our favorites, your favorites, new favorites, and of course your requests as well. What a way to start the SUMMER! Remember, it's your chance to turn the tables and sing to me every Friday night, 10:30pm to 1:30am, when I host karaoke in the rear Cabaret Room at Davenport's! "Showcase style" karaoke in a beautiful listening room -- it's your stage for two songs at a time! And there's no cover charge for karaoke in the Cabaret Room! I'm calling my latest show "THOU SHALT ROCK"
A musical cocktail, part gospel, part rock, shaken together in a cabaret setting. It's a good thing DAVENPORT'S has such a BIG cabaret room! The show opens Friday, February 2nd, and runs every Friday for four weeks. 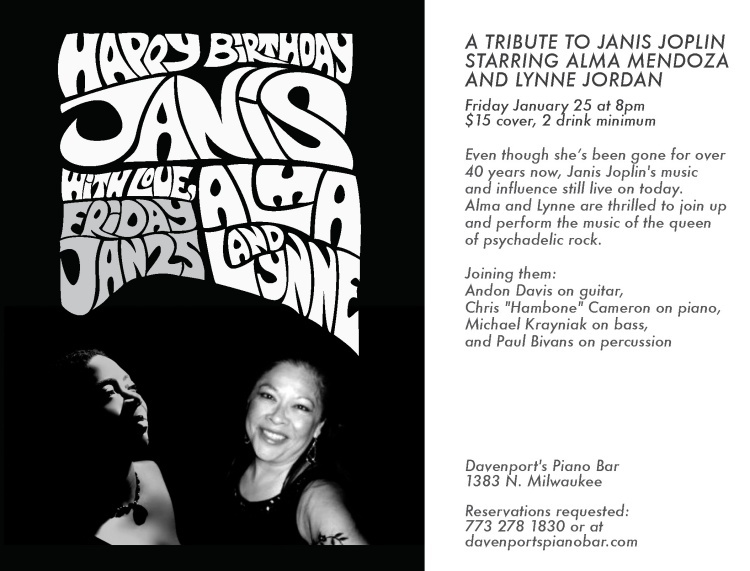 Davenport's Piano Bar, 1383 N. Milwaukee, @ 10:30pm sharp!